Is the early signing period is good (or necessary) for college football? When the college football recruiting calendar had an early signing period added, it was unknown exactly how much of an impact it would have on the recruiting game. Just one day into the early signing period, it appears many of the likely big players in the recruiting game took advantage of the opportunity to essentially wrap up their recruiting derby before Christmas. Even schools that supposedly missed on some targets may end up benefiting from the early signing period by having a little extra time to devote attention to the key players they believe can plug the remaining holes with the next signing period in February. It is an incredibly small sample size, but the initial reaction seems to suggest this early signing period is a win-win situation for coaches, programs, and players. The traditional recruiting powers made sure not to waste the opportunity to lock in as many players for their 2018 recruiting classes as possible. Georgia earned a No. 1 class ranking on 247 Sports by getting 17 letters of intent submitted and one early enrollee. Among those in the recruiting class was the top quarterback recruit in the nation, Georgia native Justin Fields. The Bulldogs could still add a few more with five hard commits in line to commit in the future. Georgia even flipped a four-star player away from Alabama and welcomed the younger brother of former Florida State running back Dalvin Cook. 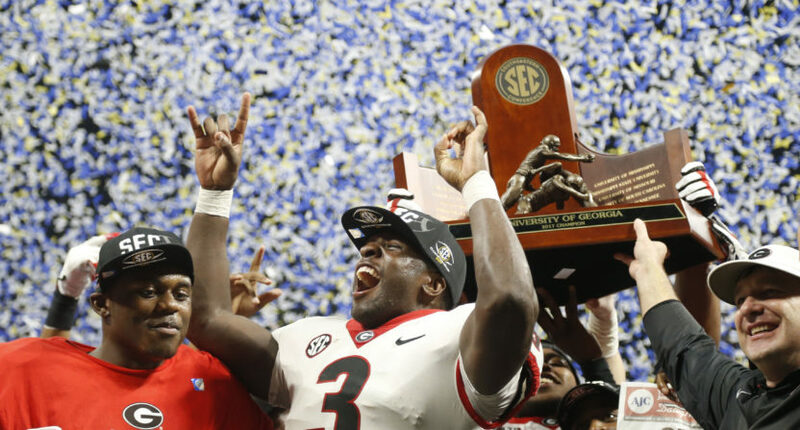 It was quite a day for the Bulldogs, but the strategy employed by head coach Kirby Smart in getting as many letters as possible in now was followed by a number of programs on Wednesday. Ohio State may have missed out on a few targets in the end, but the Buckeyes received all 21 of the letters of intent they otherwise expected. Unless Ohio State does any more work in the next few months for the Class of 2018, Urban Meyer has his next Big Ten-best recruiting class ready to go. Penn State also received 21 letters of intent for the nation’s fourth-ranked recruiting class, with one more expected down the line. James Franklin’s recruiting push included three five-star recruits, equaling the total number of five-star players to commit to Penn State from 2006 through 2017. Miami also secured its recruiting class with Mark Richt’s Hurricanes receiving 18 letters of intent and two more expected at some point. Clemson continued impressive recruiting efforts with a 15-player class loaded with quality talent with four four-star players, including three of the top players at their respective positions. To give further context on #EarlySigningDay roughly 2,800 players will sign G5/P5 LOI's in a given class. By 2day we predict 1,900+ will be signed, another 500+ will be committed, but unsigned which only leaves around 400 players left to be signed. That's a small pool in January. With many of the top programs from the power conferences mostly making their incoming classes official, the recruiting scene for the next month will be quite different, because there may not be as much intrigue by the time the traditional February signing day rolls around. As of now, according to the 247 Sports Class of 2018 player composite rankings, there are 15 players in the top 50 who have yet to sign with a school. Some may take advantage of the final two days of the early signing period, but the majority of those will likely take the month of January to make their final official visits before making a final decision in February. Some of those players are considered hard commits too but until their letter of intent is signed, they are free game for other programs to make their final sales pitches. And that could come in handy for a program like Nebraska or Florida State, where coaching transitions had a negative impact on the program’s early signing period. Florida State is always a recruiting powerhouse, but the 2017 season going the way it did and Jimbo Fisher leaving for Texas A&M before the end of the season, new head coach Willie Taggart was put in a difficult spot. The Seminoles had a very low-key signing day on Wednesday, which was odd to see for the program. Until Florida State added a commitment from five-star safety Jaiden Woodbey (who some believe was influenced by a tweet; don’t tweet at recruits), the Seminoles had the worst recruiting class ranking in the ACC. As I noted, ACC rivals may want to savor that image because it’s not something you generally see at any point on a signing day in this sport. Really difficult situation for Willie Taggart this year. FSU had a ton of decommits and he only had two weeks to salvage the class without a full staff onboard. Doubt this will be the norm moving forward. The addition of Woodbey bumped Florida State up to No. 7 in the 247 Sports rankings, and most of Florida State’s recruiting work will be done over the next month. The same could be said for Nebraska, where the early signing period has left new head coach Scott Frost a bit behind the curve for now but leaves the door open for a busy and productive January. Nebraska’s 11th-ranked recruiting class has just 13 commits, but the Huskers did get 10 of those to submit a letter of intent, including a four-star dual-threat quarterback in Adrian Martinez just days after his announcement commitment to the Huskers. Frost is keeping himself busy with preparing UCF for the Peach Bowl and handling his duties in Lincoln as best he can. For Frost and Nebraska, the Class of 2018 has some hurdles to clear, but if Frost can get himself a Peach Bowl championship to go on top of an undefeated season with a conference championship, that could pay off in the long run at Nebraska. Expect Frost and his staff to make a good push in January and have a much better showing in the Class of 2019. The early signing period did not have the same impact on every school with a coaching change, of course. Taggart’s previous program, Oregon, is ranked 13th in the nation with Mario Cristobal taking over. Florida, with Dan Mullen getting a key quarterback flip to go his way, has the 14th-ranked recruiting class. Mississippi State, with Joe Moorhead, has landed a top 20 class as well. Yet not every coaching change should be weighed on the same scale, as the timing and the situations tend to vary on a case-by-case basis. Take Arizona State, for example. 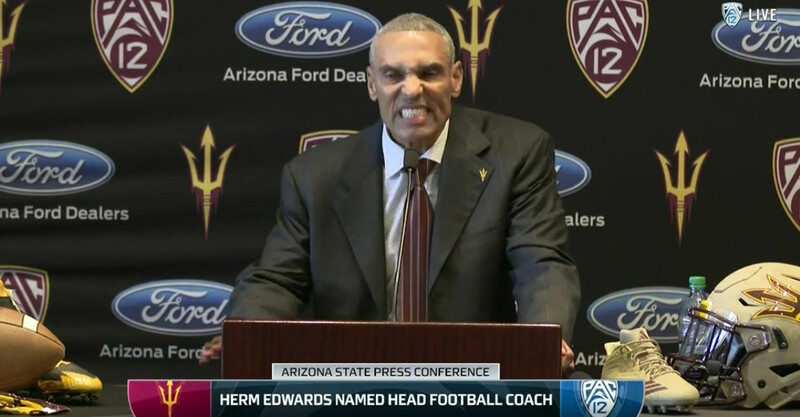 The Sun Devils have the 71st-ranked recruiting class as Herm Edwards is taking over and losing both of his coordinators. But at least he has a better recruiting class than Utah, where Kyle Whittingham has been a model of consistency. Go figure. It is still far too soon to determine whether or not the early signing period is good for college football or is necessary, but the initial feedback appears to be fairly positive. It is not a perfect model for programs that may be undergoing coaching changes, and it may actually do more harm to a program’s recruiting class in the first year of a coaching transition than the traditional signing period model. But the positives may outweigh the negatives for now. After the early signing period, coaches and recruiters will be able to narrow down their focus on the players left unsigned in January. That could lead to some heavy competition as the pool gets a bit less crowded. Will that mean power programs go on to gobble up a few more scraps that could have potentially landed at a non-power conference? It very well could, if those recruiting classes have any more room to spare. For now, the jury is still out on the impact of the early signing period. But if we get this again next year, at least we will have a better expectation of what to look for when the early signing period returns in 2018.